The NXT TakeOver series of professional wrestling shows started on May 29, 2014, as the WWE developmental league NXT held their second ever WWE Network exclusive live broadcast billed as NXT TakeOver. In subsequent months, the “TakeOver” moniker became the brand used by NXT and WWE for all of their NXT live specials as they held NXT TakeOver: Fatal 4-Way, NXT TakeOver: R Evolution, NXT TakeOver: Rival, and NXT TakeOver: Unstoppable prior to NXT TakeOver: Respect. NXT TakeOver: Brooklynwas the first TakeOver show held outside of Full Sail University. NXT TakeOver: London was the first TakeOver show held outside of the United States. 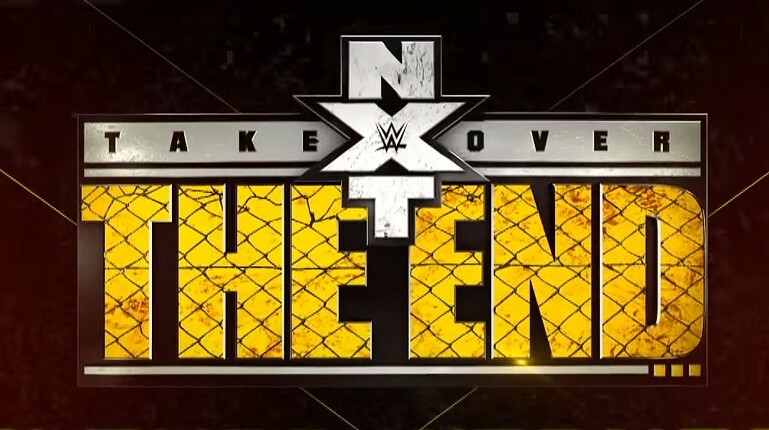 NXT TakeOver: The End will be the tenth overall show held under the NXT TakeOver banner and the second held in 2016. On April 21, at a house show in Lowell, Massachusetts, Samoa Joe defeated Finn Bálor to win the NXT Championship. On the May 11 episode of NXT, NXT General ManagerWilliam Regal scheduled a rematch at NXT TakeOver: The End. Throughout various house shows, the duo were unable to refrain from engaging in all out brawls, and on May 17, during a contract signing at WWE Performance Center, the match was made a Steel Cage match. This marks the first ever steel cage match in NXT history. At NXT TakeOver: Dallas, American Alpha defeated The Revival to capture the NXT Tag Team Championship. On the May 18 episode of NXT, William Regal made the rematch official at NXT TakeOver: The End. On the May 18 episode of NXT, Nia Jax defeated former NXT Women’s Champion Bayley. Following Bayley’s loss and her inability to perform at 100%, on the May 25 episode ofNXT, Jax defeated Carmella and Alexa Bliss in a Triple Threat #1 contender match, and would face reigning champion, Asuka, at NXT TakeOver: The End. On the May 25 episode of NXT, Austin Aries declared his intention to become the next NXT champion, which prompted a response from Shinsuke Nakamura. William Regal would then schedule a match between Nakamura and Aries at NXT TakeOver: The End.